Offering the perfect combination of exclusivity and comfort, Heritance Aarah is all about exclusive luxury with a touch of Maldives' traditions. 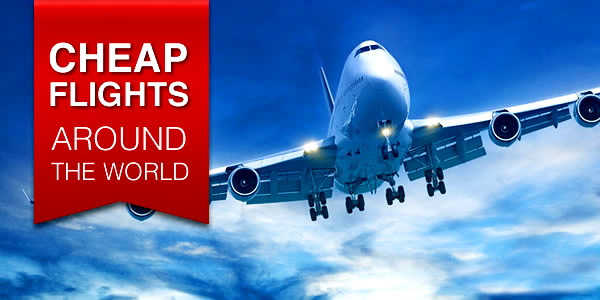 This modern all-inclusive 5-star resort is located on a private island in Raa atoll (Northern Maalhosmadulu Atoll) and is a 40-minute flight by seaplane from Velana International Airport, Male. One of the best luxury resorts in the Maldives, the main attractions of Aarah are beautiful white beaches, crystal clear turquoise waters and a hipnotic marine life on a house reef. Heritance Aarah is al about full privacy and an ideal tropical beach experience on a paradise island. Opening is planned in December 2018 - the first resort from the luxury Aitken Spence Hotels and Resorts brand from Sri Lanka, Heritance in the Maldives. The company already has five resorts in the Maldives, namely: Adaaran Prestige Vadoo, Adaaran Select Meedhupparu, Adaaran Club Rannalhi and Adaaran Select Hudhuranfushi - Adaaran is also one of the largest a hospitality chains in the Maldives. Set amidst an unending blanket of azure with splashes of aquamarine around slivers of white sand, the Raa Atoll is a canvas painted by rich natural beauty. 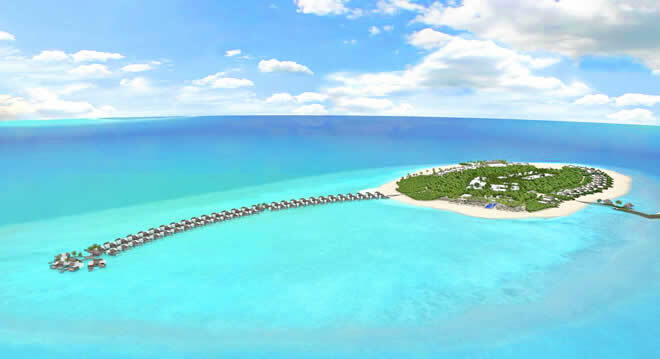 It is here you will find the enchanting island of Aarah, home to the luxury resort in Maldives. This enchanting island is only 40 minutes by seaplane from Male, and the journey itself is an unforgettable experience, offering a bird’s eye view of paradise found. The island with an excellent location right in the atoll's heart is ideal for couples, families and groups holiday with a choice of accommodation options designed and built using local Maldivian and modern architecture. Wake up to the soothing serenade of the ocean, be it beside soft, sun-drenched shores or above crystal waters of pure turquoise. All intimate villas and suites seamlessly blend indulgent comforts with traditional aesthetics for pure beachside bliss, unrivalled at other luxury Maldives resorts. According to the official site of Heritance Aarah, the resort will be built 157 villas and residences, where Beach Villas will be separated by natural tropical vegetation for more privacy. 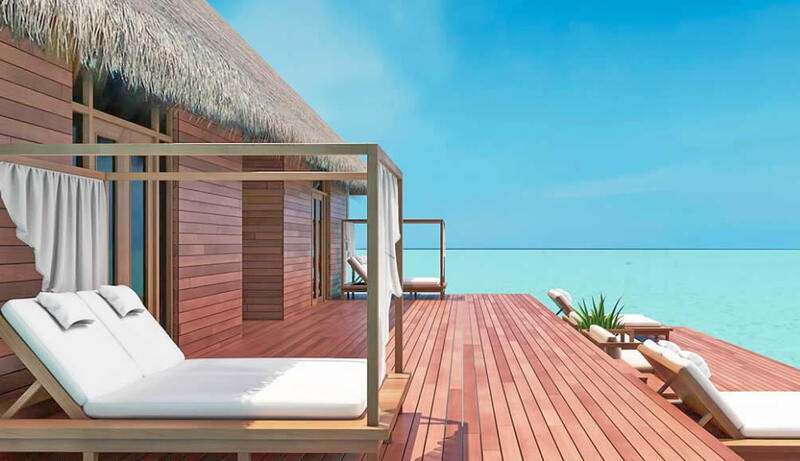 Room categories at the new resort include 51 Beach Villas, 10 Family Beach Villas, 10 Pool Beach Villas, 4 Family Pool Beach Villas, 56 Water Villas, 25 Luxury Water Villas and Presidential Water Suite. There are 68 beach villas (from 185 sq.m. ), most with private pools and are available for family lodging. Each villa offers direct access to the beach just a few meters in front of a large outdoor veranda in the open air. 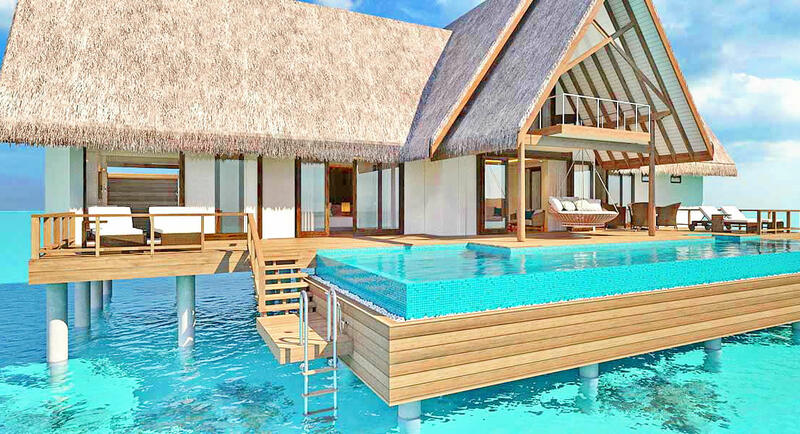 82 luxurious ocean suites and water villas (from 93 sq.m. - 315 sq.m.) - the top category, all with their own pools and overlooking the sparkling seascape. 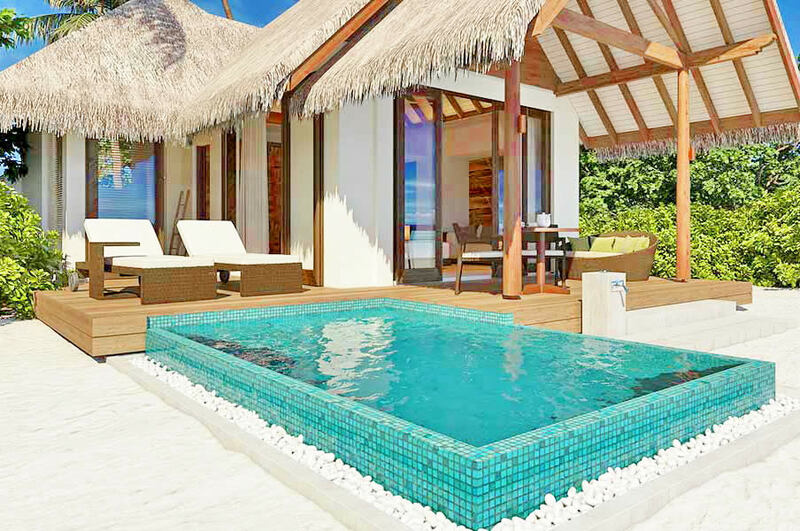 Spacious villas are equipped with sun terraces with direct access to the lagoon for house reef snorkeling. From evocative flavours that will have your taste buds in raptures of delight to gourmet creations that combine authentic local ingredients, the resort's restaurants offer something truly distinctive, start from France and Italy to the Middle East, Sri Lanka, India, Turkey, Mexico and Japan – and three bars including space exclusively for Ocean Suite guests, a poolside bar and an open-air rooftop venue.. Be it intimate fine dining to candlelit dinners on the beach, each experience embodies a culinary journey of discovery. At Heritance Aarah, guests will be treated to a host of dining options across various world cuisines at six restaurants, including an All Day Dining Restaurant, a Signature Overwater Restaurant, a Sundown Over Water Restaurant, a Speciality Lagoon Restaurant, an Overwater Teppanyaki Restaurant and Sushi Bar and a Rustic Beach BBQ Grill. Get set to embark upon a culinary journey unlike any other at Ranba! 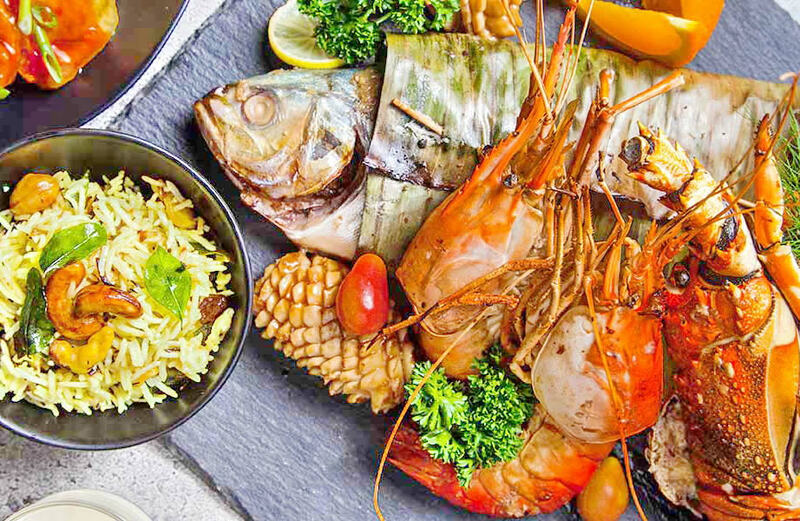 Experience dining in Maldives at its finest, in an all-day restaurant featuring a wide selection of cuisines from around the world. Reserved exclusively for guests of Ocean Villas, Baani is influenced by Parisian-Beirut café culture, designed to capture the very essence of a carefree getaway in Maldives. Dining has never been this stylish! 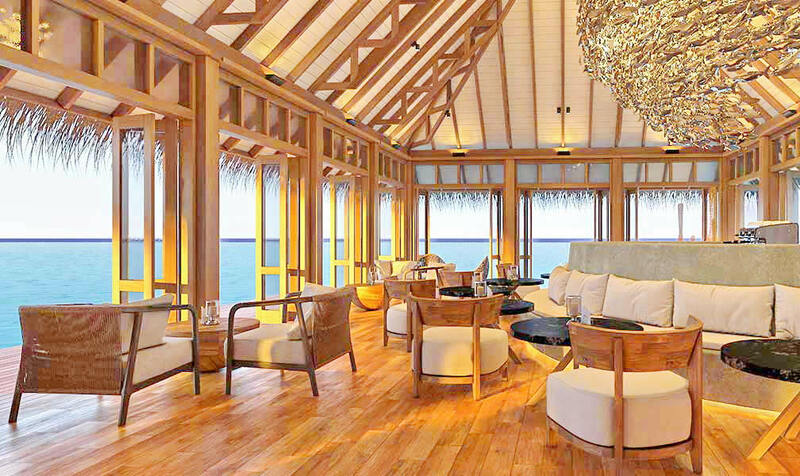 Inspired by all things French, Ralu is a haven for connoisseurs of fine dining in Maldives. Entice your senses with the refined flavours of an exquisite selection of gourmet dishes while here. 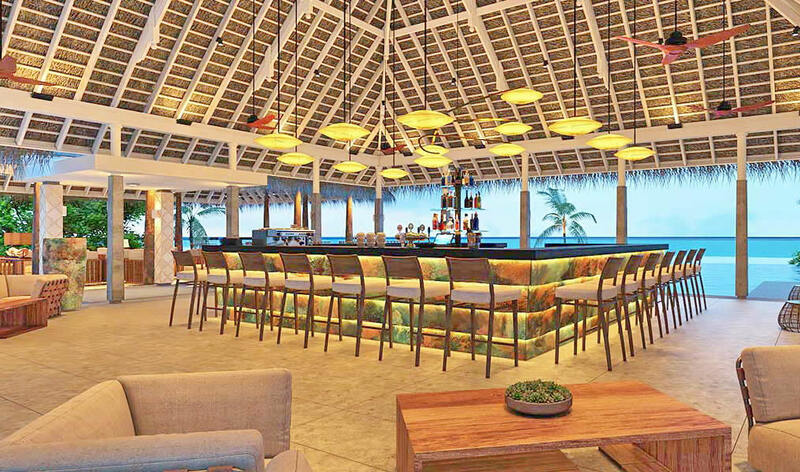 An array of exotic cocktails and a wide selection of wines will be served at five bars, including the main Pool Bar, Overwater Lounge Bar, Sundown Overwater Lagoon Bar, Infinity Pool Bar and the Overwater Sky Bar. Heritance Aarah will feature an overwater spa with six treatment rooms set over the lagoon, offering a choice of luxurious health and beauty treatments and professional consultations to balance the body and mind. In addition, the resort will have a PADI licensed dive centre along with water sports, a kids' club, a tennis court and a fully equipped gymnasium. Snorkelling in this idyllic part of the world will be a pleasure that everyone can enjoy as it is an uncomplicated pursuit which is accessible to all. Both adults and children can take part in this simple and undemanding activity. In fact, you will be able to take your first steps in this water sport even if you are not a highly skilled swimmer. At Heritance Aarah understand that children see the world in a different way. That’s why the resort offer exciting experiences to young guests through the kids club in Maldives to expand their horizons, revealing unseen wonders at every turn.